Stocks tumbled yesterday after the FOMC minutes showed that many Fed officials wanted to reduce or end QE sooner than expected. The Dow tumbled 108 points, and today stocks and commodities are down again. “Simply put, the game has changed and where we were playing a ‘game’ fuelled by the monetary authorities and fuelled by the urge on the part of participants to see and believe in rising ‘animal spirits’ as Lord Keynes referred to them we played bullishly of equities and of the EUR and of ‘risk assets’. Now, with the game changing, our tools have to change and so too our perspective. 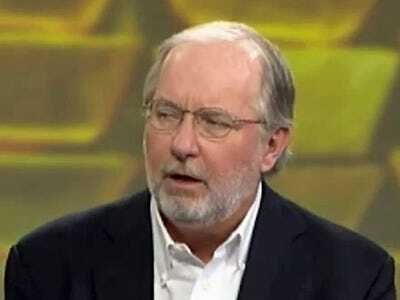 Gartman also exited all his stock positions in August 2012.